Whereas Americans typically celebrate All Saints and All Souls Days with Halloween, treating dead spirits as frightful ghouls who adolescents emulate while knocking on doors and asking for candy, in Mexico and other parts of the world this time of year is treated as one of remembrance, when the lost souls of loved ones return to be with their friends and families before moving on to a better place. While it may seem like a potentially heavy-hearted occasion, it is mostly one of joy; instead of mourning loss, one looks back fondly at the time the departed had spent on earth, and wishes them off with the best of fortune for their new life—and new beginning—to come. 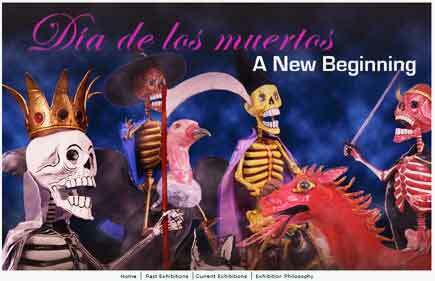 In the San Francisco Bay Area, where I live, the Oakland Museum traditionally does an excellent job of presenting art and programs for Dia de los Muertos. The town of Esquipulas in Guatemala is famous for its black Christ image, carved of dark balsam wood in the sixteenth century. 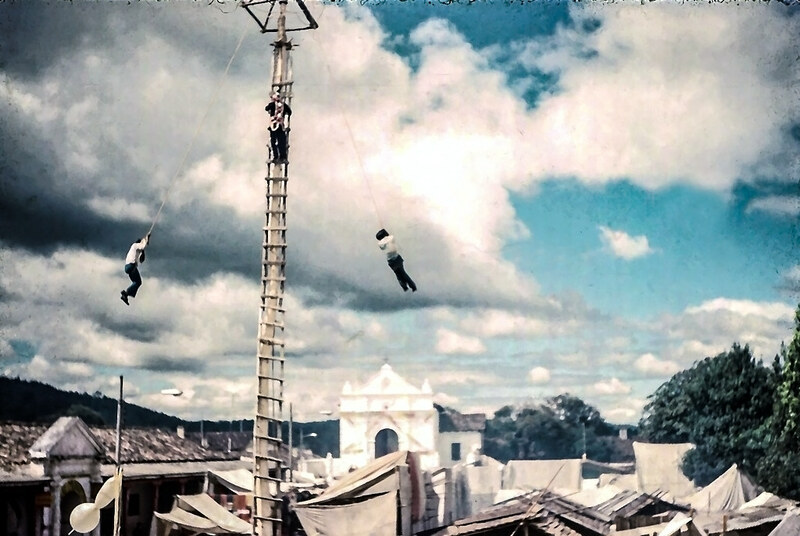 The church is a famous pilgrimage site, and in 1995 Esquipulas was named “the spiritual center of Central America” by Pope John Paul. The 1987 Central American peace treaty was called the Esquipulas Peace Agreement. 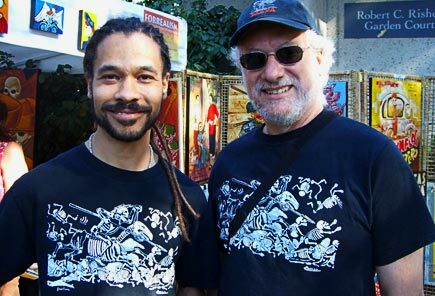 Narration in the video is in Spanish. 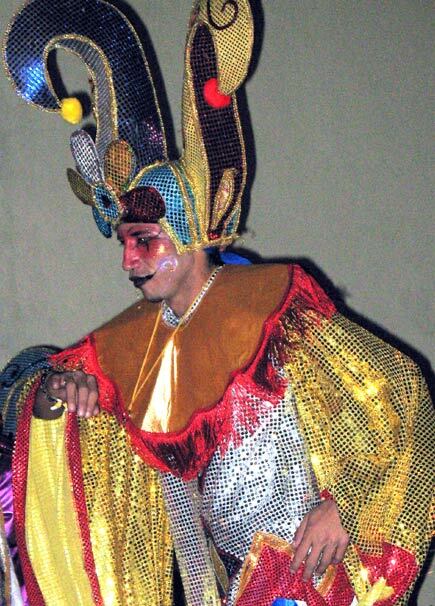 Before we take our leave of Carnival, let’s take a moment to enjoy this character’s colorful costume. 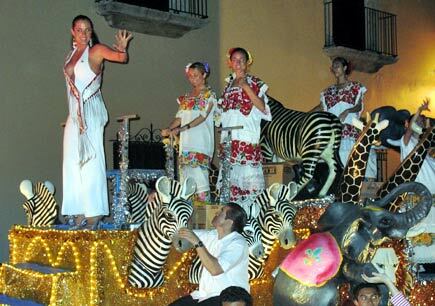 The city of Merida in the Yucatan has one of the livelier Carnival celebrations in Mesoamerica. These pictures were taken 19 February, 2007. 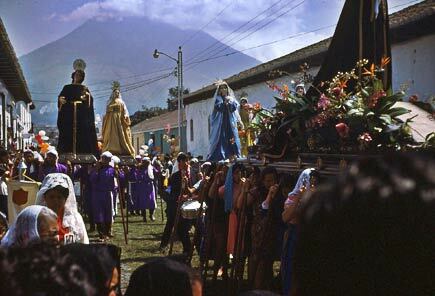 One of the great festivals in Guatemala is Semana Santa in Antigua. On Easter celebrants bear heavy floats depicting images from the passion of Christ; the floats, some requiring dozens of carriers, may weigh thousands of pounds. 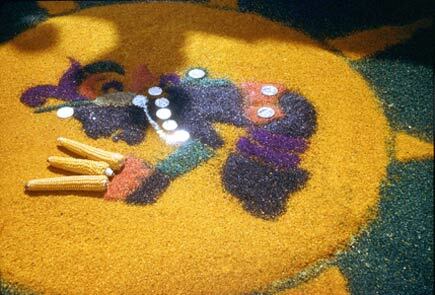 Elaborate carpets — alfombras — of pine needles, corn kernels, flowers, and sawdust are created on the cobbled streets. These beautiful artworks will soften the treads of the bearers of the heavy statuary as they make their way across the hard, uneven cobbles. And they will be destroyed by them. These photos were taken many years ago. The corn in this alfombra detail is interesting. The figure appears to be presenting the corn as a form of offering. The corn seems to emerge from a cooking vessel. 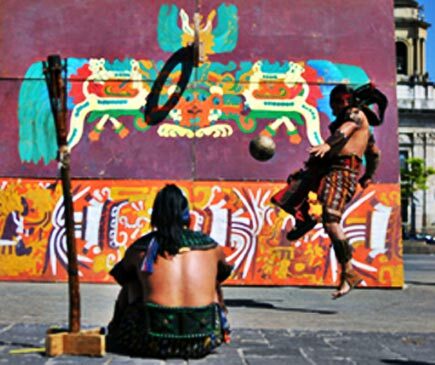 Maize has been the main crop of Mesoamerica since time immemorial. One of the chief deities of the classic Maya was the corn god, who is associated with death and rebirth. 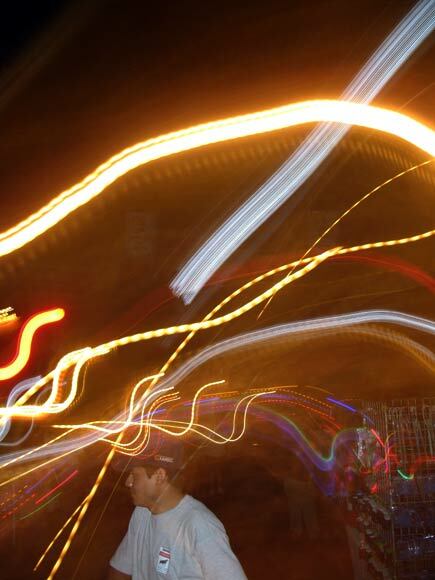 He descends to the underworld and reemerges in youthful guise much like a young shoot breaking through the surface of the earth at the beginning of the growing season. So it is natural that he would become associated with Easter, a springtime festival that is also associated with death and rebirth.